The Red-billed Leiothrix is native to the Himalayan foothills of India, Nepal, Bhutan, Burma, southern China and northern Indochina. It occurs in forested habitats from sea level to 7,500 feet. It has also been successfully introduced to Japan and the Hawaiian Islands. It is resident on most of the Hawaiian Islands although it may no longer occur on Kauai and is most common on Oahu. The Red-billed Leiothrix gleans insects and fruits from lower parts of forested habitats. Although some populations are believed to be in decline due to habitat destruction and capture for the cagebird trade, this species is common in many areas and is given a conservation rating of Least Concern by the IUCN. Red-billed Leiothrix: Introduced to Kauai in 1918, to other islands in the 1920s-1930s. May no longer exist on Kauai, populations fluctuate on other islands. Found in native and exotic forests from ocean level to mountain tops. Native to Southeast Asia, Himalayan region of India, and southern China. Alarm chatter is harsh and repetitive. "Chip" calls given while foraging. "Pu pu pu pu", "pe pe pe pa"
The Red-billed Leiothrix is also known as the Pekin Nightingale, Pekin Robin, Chinese Nightingale, and Japanese Hill Robin. They prefer areas that receive at least 40 inches of rainfall a year. They were imported to Hawaii in 1911 and purposefully released into the wild in 1918. A group of babblers are collectively known as a "tower" and a "brook" of babblers. A large taxonomic order of one hundred forty-two families of birds that includes the larks, the vireos, and the shrikes, the order PASSERIFORMES (pronounced pas-ser-i-FOR-meez) also includes the old world babblers. The babblers, or Timaliidae (pronounced tih-mah-LEYE-ih-dee), are a large family of three hundred and twenty-one species in forty-nine genera found mostly in Asia and Africa. 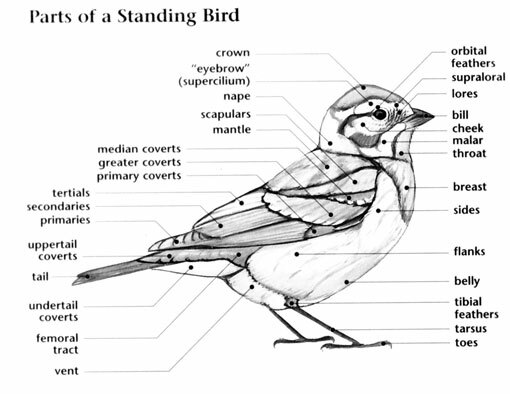 There are three species of babblers in two genera that occur in North America (all introduced to Hawaii). These are the exotic sounding Red-billed Leiothrix, the Greater Necklaced Laughingthrush, and the Hwamei. Members of this family are most well known for their vociferous behavior (hence the name of the family). 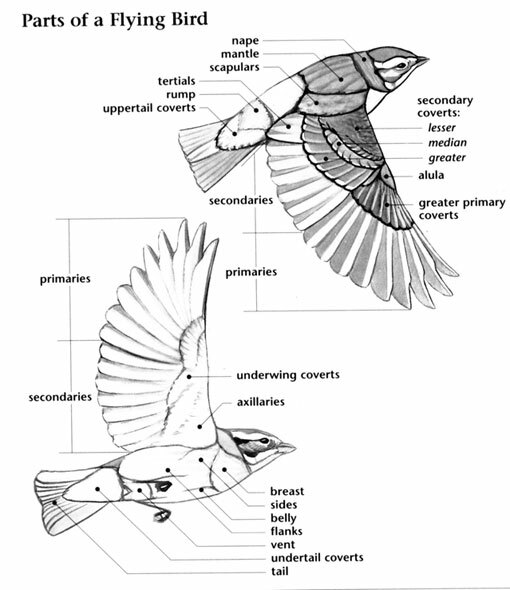 This large, diverse family ranges from birds the size of small warblers to the jay-like laughingthrushes. The few species that occur in Hawaii also vary in size and shape. They have short and long tails, short wings, fairly long, strong legs and feet, and rather stout bills. Old world babblers are mostly plumaged in shades of brown and gray. 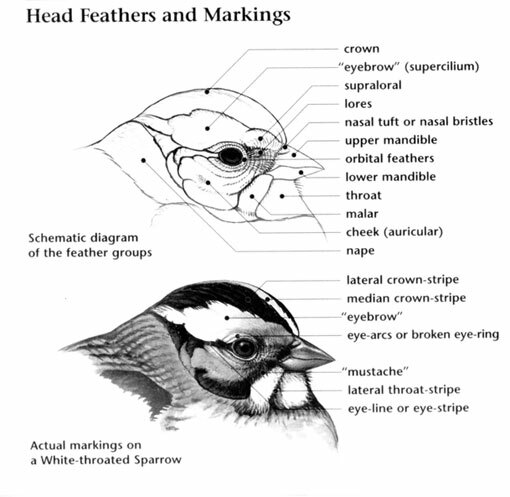 Many species also have spotting or streaks in their plumages and light colored eyes. Bright colors are limited to a few species such as the Red-billed Leiothrix with its red bill and yellow edging to the feathers in its wings and tail. Although some members of the Timaliidae utilize non-forest habitats, the majority are birds of tropical forests. The three species that were introduced to Hawaii, the laughingthrushes and the Red-billed Leiothrix, are arboreal birds that occur in thickets and open woodlands. The babbler species that occur in North America do not migrate. Many members of the Timaliidae are social birds that typically occur in family groups and in mixed flocks with other bird species. They forage for small creatures by gleaning and picking them from nooks and crannies in the thick vegetation. The old world babbler species of North America are not threatened. Some species in Asia, though, have very limited ranges and are threatened by destruction of their tropical forest habitats. Some old world babbler species are so social in nature that family groups will practically huddle together while perched.